The Roman symbols for Venus and Mars are used throughout the world as visual representations of the two sexes. Even the Romans always knew that they were from different planets! 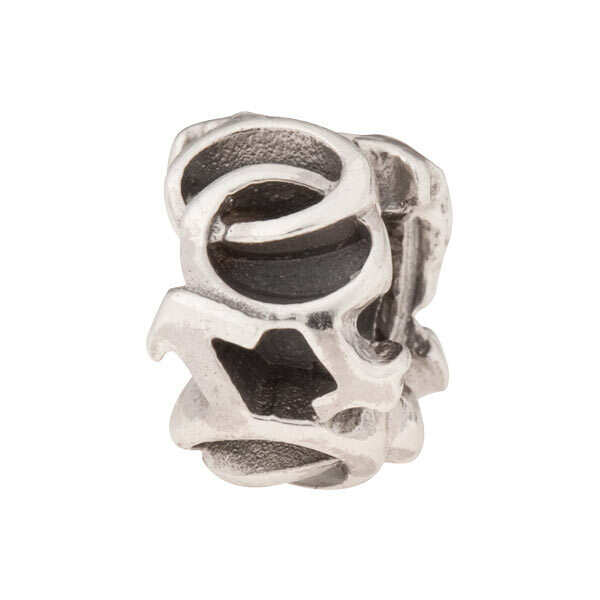 This charm features these two interconnected symbols with oxidized finish, approximately 9mm x 6mm x 9mm with a threaded core for compatibility with PERLAVITA jewelry as well as most major brands of large hole beads.